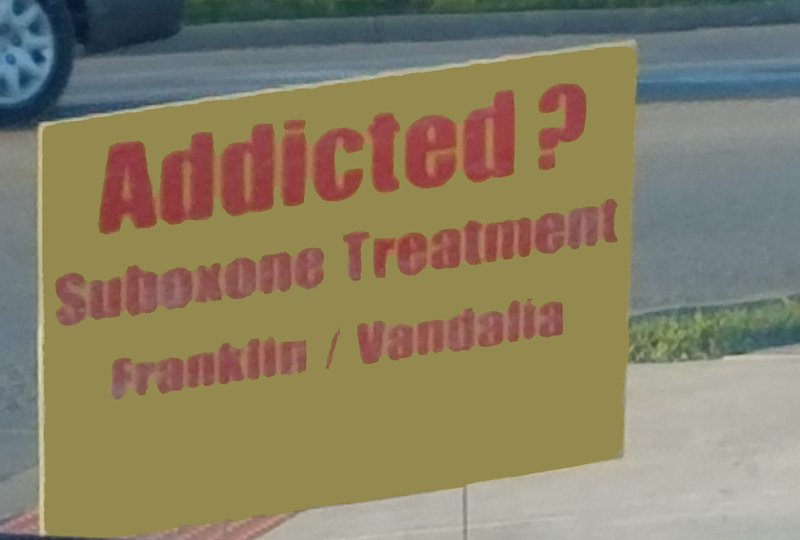 Company, from a nearby county, offering heroin addiction treatment for residents in my county. As the paper reported, it was a less-than-wholehearted endorsement of Trump. But, now it’s bumper sticker time. Like many town hall meetings these days, Davidson’s meeting was attended by protesters. The protesters, who ranged widely in age (based on videos on the event), were eventually asked to leave. They had already been warned — and in an epitome of childish politicking they were informed they could not display their ‘Nay’ signs when they disagreed with Davidson. So, expectedly some Davidson supporters clapped when the protesters exited the room. 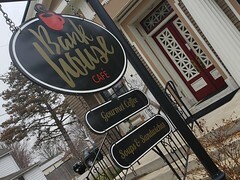 What really unfolded at the Miami County event was a marketing campaign. Davidson, back home in his part of the District, leaned hard on his training as a soldier and did his soldierly duty by marching into the District with the GOP speaking points in hand. It was Top-Down management: A decision had been reached by those above him and his job was to sell the program. Trump and his lackeys decided that healthcare would, after all, be addressed before tax reforms (turns out healthcare was complicated for many reasons, including the need to siphon off ‘savings’ with a repeal and then funnel those into the tax reform — or as we say in southwest Ohio ‘rob Peter to pay Paul’). This meant the ‘rank and file’ like Davidson are using the Congressional recess to bolster support to the latest version of ‘repeal and replace’ and, last night, to ensure the message stayed on target, attendees were asked to write out their questions in advance. Can We Just Get Rid Of The Poor? One of the complaints Davidson and others Freedom Caucus members apparently had with the first attempt at ‘repeal and replace’ was it did not slash Medicaid enough. Of course, cutting it deeper could have detrimental effects on Davidson’s district — and especially inside my county — where Medicaid is being used to address the heroin epidemic. Medicaid is the prerequisite for those defendants ordered to get a Vivitrol injection every 28 days. Vivitrol prevents a person from getting a high off of heroin. The Common Pleas Court does not impose Vivitrol as a condition of probation/treatment for those without Medicaid. By and large the defendants in ‘possession of heroin’ cases in Preble County are ruled indigent by the court and the injections are just one step in a long, tenuous journey to recovery. Davidson has stated that solving the heroin epidemic is the ‘challenge of this generation.’ But, slashing Medicaid or repealing ACA will only exasperate our problems in Preble County — a section of the county where adequate recovery tools are already extremely limited. Vivitrol is expensive — at least that is what a spokesperson with a heroin recovery medical practice told me. I called the number on one of the many ‘yard signs’ sprinkled throughout my county — signs that offer assistance for those addicted to heroin or opioids. Depending on where a person is employed, the spokesperson said, an injection of Vivitrol could range from a low of $25 or up ‘into the hundreds’ per shot. For two area employers, she said, an injection is above $1,000, but ‘I help the client find rebates in those cases,’ she assured me. Most successful treatment involves, what in the industry is known as IOP (Intensive Outpatient Program), but what the companies advertising in my county are offering are a shot of Vivitrol every 28 days, a couple sessions of counseling each month, and assistance in setting up the client with NA meetings (which, of course, are free and heavily publicized already). The monthly costs for the first month or two — if Vivitrol is covered at $25 a shot — still ranges between $300 -$500 per month for the client. This is in a county where, according to an Indeed Job site app, the average starting wage for local jobs is about $10 an hour. Simple math demonstrates that someone recovering from a heroin addiction would spend roughly one-fourth of their monthly income on drug treatment. That’s setting them up to fail. But, as Davidson assured the crowd last night, the GOP does not want to leave anyone behind. I think recovering addicts (and their families) may disagree. The community is getting left behind as well. As these private events — masquerading as town halls — are held regions like Preble County watch as community members, addicted to a chemical, are processed through the court system for a mental health issue. It’s our children. Our friends’ children. It’s former co-workers. We watch as our county jail overflows. We watch as a new generation of felons are created — giving our community a workforce that local companies are reluctant to hire. We get to watch as national political leaders, like Davidson and Ohio comrade Jim Jordan, work to strip away the very few, and very limited resources, like Medicaid and the ACA, that trickled down from the federal government to the county level. We watch as the addicted, denied IOP options, instead receive a monthly injection, short-term counseling, $1,000 to $4,000 in court fees and, as already mentioned, very poor job opportunities. It doesn’t feel like the ACA is the biggest problem in Ohio’s 8th. Of course, someone always says — but they ‘got their self’ addicted so it’s their problem. Most of the recovering addicts speaking at my local high school last week stated their heroin problem began with prescription opioids. Their statement is supported by data. And the heroin problem, not the ACA or tax reform, is what Davidson, the Freedom Caucus, the GOP, the Democrats, Trump — basically the entire federal and state government should be dealing with first. It’s something that actually benefits citizens. 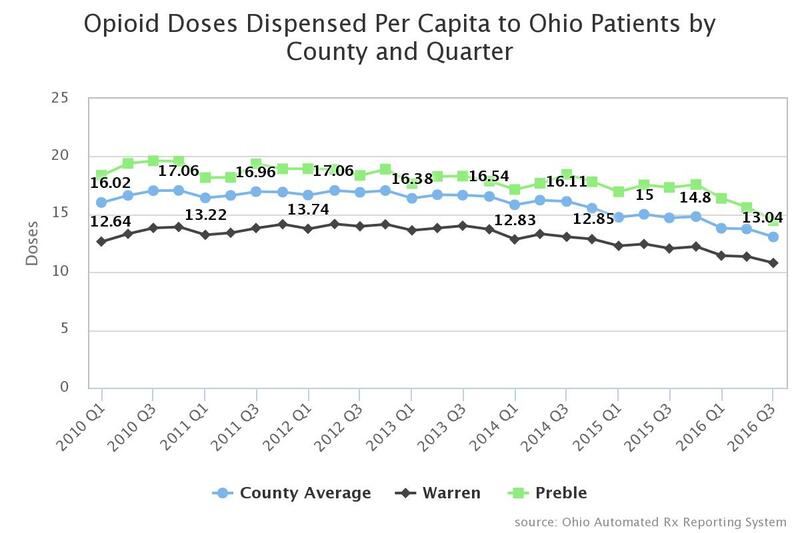 Doctors in Preble County doled out opioids like there was a lot of money to be made off the narcotic — societal impact be damned. Since 2010, we have consistently ranged above the state county average. For comparison, Warren County, Ohio’s second wealthiest county located just south and east of us, consistently ranged beneath the state county average. Instead of trying to repeal and replace the ACA, building a ‘beautiful wall’ on our southern border, enacting a politicized tax reform, or finding a new war to wage — do something noble. Do something that benefits the people of Ohio’s 8th, Ohio and the United States — go after the pharmaceutical companies that delivered the opioid/heroin problem to our country. Hold them criminally and civilly responsible and take that money to restore health to our communities and our fellow citizens who are dealing with mental illness and chemical addiction. It would be significantly more beneficial than last night’s approach of marketing a concept, kicking out dissenting voices, divvying out Trump bumper stickers, and pretending what you held was a town hall meeting.